If you know somebody who works for an airline, you've probably heard them talking about their flight benefits. One of the perks of working for an airline is "free" travel to anywhere that carrier or its partners fly, but there are plenty of conditions. Do airline employees really get to travel for free? The most important point to clear up is that airline employees do pay for their travel unless they are commuting for work. Even though they may not be responsible for covering the airfare that you would normally pay to fly, they are responsible for paying the taxes and fees on their tickets. Airline employees traveling for pleasure are referred to as "non-revenue passengers." In other words: the carrier isn't making any money off of them, so they're prioritized below the lowest paying revenue passenger (including those traveling on award tickets). Most airline employees also fly standby, so they won't know if they're going to make it on a flight until after everyone else has made it on board. With unpopular routes, there shouldn't be any trouble, but if they're traveling on international flights to cities that the airline only serves once each day, and the flight is full, they'll have to try again. If they have prepaid accommodations or tours, standby travel can actually end up being very costly. Even with their benefits, the taxes and fees alone – which include security fees, international fees and fuel surcharges – can total hundreds of dollars on an international itinerary. And while their total travel costs are lower most of the time, they hardly get to fly for free. The good news for employees is that in certain situations, any seat may be up for grabs. If there's a first class or business class seat that hasn't been sold, they may end up getting to sit there for the same "price" as traveling in economy, or for a little extra. Of course, there's no guarantee, and even passengers using upgrade certificates or miles to move up to the next cabin have a higher priority. Can friends and family of airline employees travel for free? But can friends and family get in on the "non-revenue passenger" travel? Each airline has different policies and procedures for an employee's "non-revenue" guests, ranging from buddy passes to full-out booking options. Here are the policies for America's four major airlines. Of the four major American carriers, American Airlines may have the best overall guest travel benefit. According to a newsletter released by the merging American Airlines and US Airways in 2014, their "non-rev" plan covers over 1.5 million current and former airline employees, including up to 200,000 retirees. Qualified American Airlines employees are allowed to fly for free, along with their registered guests and companions. Retirees who pass the "65-point plan" (a minimum of 10 years of active service, and the retiree's age plus years of service must equal or exceed 65) also qualify for "non-revenue" travel. Those who wish to travel business class or above must pay an additional fee, based on their itinerary. Fees for premium domestic travel inside the United States is based on distance, while international premium cabin travel is a flat fee based on the destination. What about friends or companions that aren't parents, spouses, or children? Qualifying American Airlines employees are given 16 "buddy passes" each year, while retirees receive eight. Buddy pass travelers receive lower boarding priority than American employees on vacation, other employees and eligible travelers, retirees and parents. Much like American, Delta Air Lines employees get to extend their travel privileges to friends and family. However, how it applies is a different policy than their Dallas-based counterpart. After successfully working for Delta for 30 days, employees are allowed to use their free travel benefits to see the world. Additionally, spouses, minor-dependent children up to 19 years old (or 23 for full-time students) and parents may also receive reduced-rate travel. That doesn't extend to everyone: non-dependent children, travel companions, extended families and guests are only eligible for reduced-rate travel. When flying on a Delta buddy pass or as part of an airline program, everyone is boarded on a standby basis. If there is room available after all other passengers have been accounted for, then the benefit flyers can board. According to the employee benefit page, domestic flights are "free" but travels to international destinations are subject to government and airport fees. Even though it's open seating, Southwest Airlines passengers are allowed to snag open seats on flights as part of their benefits package. But at this airline, getting to travel "non-revenue" is much more restricted. Employees can offer their Southwest travel benefits to their eligible dependents: spouses, eligible dependent children 19 or younger (24 if they are full-time students), and parents. While Southwest has agreements with other airlines for benefits, traveling "non-revenue" is not always a free experience, as fees can apply based on the carrier and destination. What about buddy passes? Unlike other airlines, Southwest employees have to earn their passes through the internal recognition system, known as "SWAG Points." When employees are recognized for their good work or take part in incentive programs, they can earn points that can be exchanged for buddy passes, frequent flyer points, or event tickets. At United Airlines, employees still get to hand out buddy passes to their friends and family, but the scope is very limited. According to the airline, employees and their families may receive travel privileges which include discounted rates and unlimited standby travel. What does the program actually look like? A bulletin from the Association of Flight Attendants outlines the program in detail. Employees must select their friends eligible for "non-revenue" travel in December for the next year. After the deadline passes, no friends can be added to their list. Employees can also elect to receive 12 buddy passes every year to distribute among friends. What kind of pass also matters at United. Enrolled friends traveling with the employee, retiree, or their spouse are given the highest boarding priority, while those flying alone on a buddy pass are given the lowest priority. What do I need to know about "buddy pass" travel? So friends of airline employees get to fly for a cheap price if room is available – sounds like a good deal, right? Unfortunately, it's not as easy as having your airline employed friend book a ticket, passing the TSA checkpoint, and going on vacation. As noted above, flyers on a buddy pass are the lowest passengers on the standby list. If their flight is just about full, there's a good chance they won't make it on board. Buddy pass passengers are usually only permitted to fly in coach, but the policies vary by airline. In addition, buddy pass flyers are considered representatives of the airline, no matter how old they are. As a result, they must adhere to a strict dress code, which often includes business-casual dress standards. If they do not meet these strict criteria, they may be denied boarding with no sources of repayment. When are the worst times to try and fly as a "non-revenue" passenger? 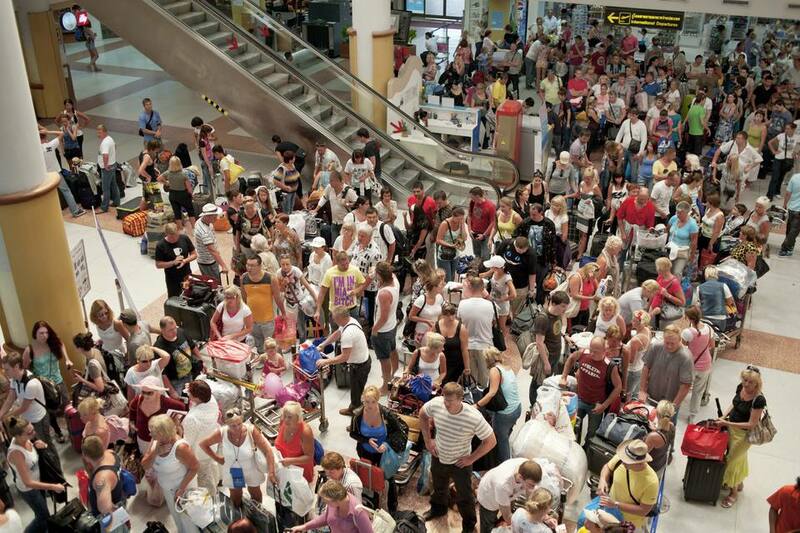 If a flight is canceled, all of the displaced passengers will be accommodated on the next scheduled flight. If it's full, they'll end up on the standby list above non-revenue passengers. As an example: If a plane that holds 250 passengers isn't permitted to fly, that could mean 250 people ahead of you on the list – though that's an extreme example. "Non-revenue" travel can be quite rewarding, but it's important to remember that you may end up not flying that day, or you could be stranded in a city that you weren't planning to visit. If that happens, you're on the hook for meals and hotel rooms – the airline won't help at all. Before you ask your friend for help and try your hand as a "non-revenue" flyer, be sure to weigh the pros and cons of every situation. In some situations, it may be cheaper to pay for your ticket instead of flying on a buddy pass.